The Floating City offers more than canals and Carnival—it’s also made up of bustling markets, delicate glass factories, and off-the-beaten-path neighborhoods beloved by locals. 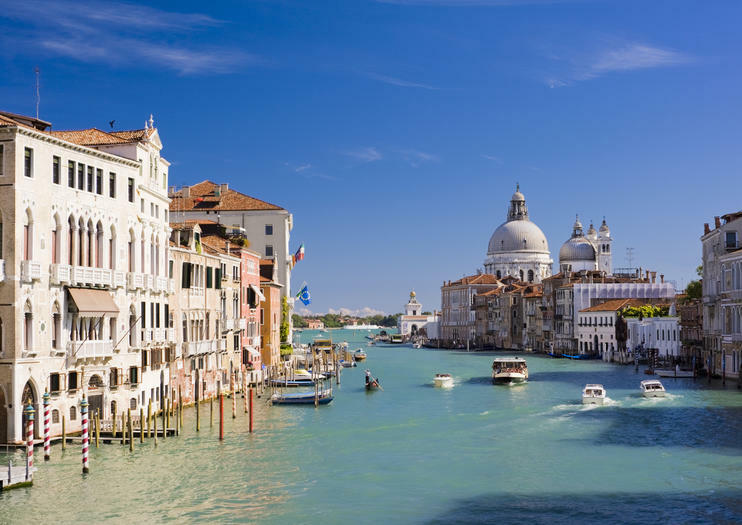 With a bit of planning, you can see the major landmarks and engage with contemporary Venetian culture, too. Here are a few ways to spend two days in Venice. Morning: See the Floating City from the water with a scenic boat or gondola tour. Choose an authentic gondola ride complete with serenade; a canal cruise that explores smaller, peaceful waterways; or a hop-on hop-off boat tour, offering easy access to Venice’s many landmarks. Afternoon: Spend the afternoon hours on a guided Doge’s Palace tour to learn about Venice’s royal history and gothic architecture. With prebooked skip-the-line access, you’ll beat the crowds and see more in less time. Night: After your Doge’s Palace tour, stick around the area for an exclusive after-hours visit to St. Marks’ Basilica. You’ll see the cathedral after dark with a small group for a one-of-a-kind Venice experience. Morning: Discover the artistic side of Venice with a photography walking tour, a trip to the island of Murano for a Murano glass factory tour and workshop, or a class devoted to learning how to paint intricate Venetian Carnival masks. Afternoon: When hunger strikes, choose a lunchtime tour of the Rialto food market complete with traditional snacks (cicchetti) and local wine, or a cooking class in the private home of a Venetian chef. Either way, you’ll get an insider’s taste of Venetian food culture. Night: For an evening out, explore Venice’s Jewish Ghetto or Dorsoduro district on a guided neighborhood tour. Then finish your trip with a nighttime ghost-themed walking tour to hear spooky stories about restless spirits. Get an inside peek into the world-famous glassblowing factories of Murano on a 2-hour escorted tour. Meet your guide in central Venice, and ride a water bus across the Venetian Lagoon to the colorful island of Murano. Get a private glassmaking demonstration from a master craftsman, and enjoy time to browse the factory showroom featuring finished works of art. Finally, attend your choice of hands-on workshop to create a take-home piece of jewelry or mosaic using authentic Murano glass. Take an artistic approach to Venice with this private photography walking tour. Whether you’re a novice or expert photographer, you’ll find endless opportunities for the perfect shot as you explore Venice’s picturesque streets, squares and canals. A professional photographer guide will lead you on a 3-hour walking tour of magnificent landmarks and hidden backstreets, giving you tips on lighting and composition along the way. Bring your camera or smartphone and leave Venice with a collection of beautiful, print-worthy images to memorialize your holiday.